Massapequa, New York, is a community of about 22,000 residents along the southern shore of Long Island. This scenic hamlet is in the Town of Oyster Bay in Nassau County. Those that live in Massapequa homes live less than 20 miles from Queens, so the entertainment and culture of New York City are within easy reach. The Massapequa people were likely a band of Lenape, the Native Americans that long occupied the western portion of what is now Long Island. The Montaukett and Shinnecock were bands of Pequot that resided on the eastern end of the island. The Shinnecock Indian Nation and its reservation along the southern shore has today been recognized by the federal government. Less than five miles from Massapequa is Bethpage State Park. To avid golfers in the area, Bethpage is a true golfing mecca. Five world-class, 18-hole layouts attract both locals and tourists. "Bethpage Black" is the crown jewel of the complex. It has hosted the U.S. Open in both 2002 and 2009. The rest of the park offers sports fields, tennis courts and picnic facilities. The extensive trails are used by hikers in the summer and cross-country skiers in the winter. 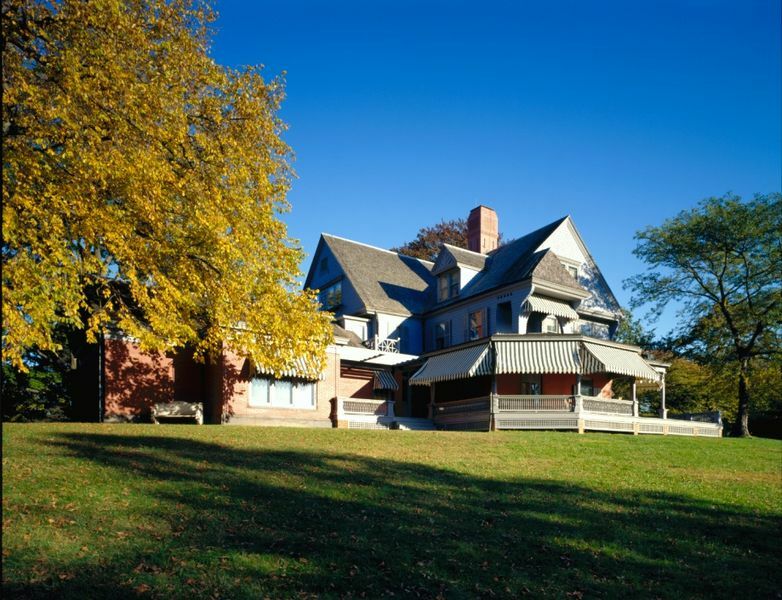 Sagamore Hill National Historic Site preserves the home of Theodore Roosevelt in Nassau County. The 26th President of the United States lived here from 1885 until he passed on in 1919. From 1902 until 1908, Sagamore Hill became the "Summer White House." The historic residence has remained just as it was during Roosevelt's lifetime, right down to the mounted moose heads. The grounds include an Audubon sanctuary. In mid-June, those that attend the Strawberry Festival enjoy Long Island strawberries while live music fills the air. Arts and crafts and homemade strawberry shortcake are enjoyed by those that attend. During the event, the local historical society offers tours of Old Grace Church and the Elbert Floyd Jones Cottage. Raffles and face painting add to the festive nature of this community gathering. The discriminating Massapequa home buyer seeking exclusive Massapequa real estate will not be disappointed. Our team can show you spectacular waterfront Massapequa properties that offer a tranquil respite from the rigors of daily life. There are newly built Massapequa homes for sale that include the latest features and energy efficient systems. There are also classic Massapequa NY homes that evoke the feeling of an earlier era. Some of these homes for sale in Massapequa include more than 3,000 sq-ft of living space. Our team can match your interests with the available real estate in Massapequa. For interesting custom architecture and great locations, consider Massapequa NY real estate. All New 8.3 Elev Canal A.E. Flood Zone, Naval Bulkhead, Fenced Decks, Roof 10 Yrs, Heated & Cooled Gar W/Epox Flr, Anderson Windows, Magnificent Glass 6X8 Insulated Windows, Custom Remote Privacy Shades, New 200 Amp Elec, Instant Heated Hot Water, All Interior/Ext L.E.D. Lights, 17Kw Generator, Auto Transfer Switch Thermoderm, Stainless Appliances, Custom Granite Kit, Brazilian H/W Flrs, Hardie Plank Exterior W/Azak B Board Facia & Soffits. Too Much To List!! Spacious Waterfront Colonial Features 3 Br's, 2.5 Baths, Oak Hdwd Floors, Mstr Bedroom Ensuite W/Custom Built-In Walk-In Closet, All Formal Size Rooms, Flr, Fdr, Eik W/Granite/ Ss Appliances, Sunken Den W/Wood Burning Stove, Overlooks Beautiful Schmidt Canal, Covered Wood Party Deck, 61' Navy Bulkhead Approx 12Yr Old, Floating Dock, Fully Fenced, 200 Electric & Sub-Panel, Never Flooded, El Cert Avail, $700 Flood Policy Can Be Grandfathered To New Owner. Boater's Dream! Minutes To Bay! Enjoy this Massapequa Shores boat lovers waterfront showcasing 5 bedrooms, 2.5 bathrooms, gourmet eat in kitchen with plenty of cabinetry and seating area, formal dining room, spacious sunken living room with cozy fireplace and built in 60 TV, laundry room, master suite with sliders, radiant floors throughout, 2 CACs. Backyard space includes custom kitchen island with built in Lynx BBQ, pergola with TV mount, Cambridge gas fire pit, Bose system, fully pavered and fenced in backyard. Great Mother / Daughter Home with 5 Bedrooms 2 bath beautiful clean home. well manicured property with 2 Sheds and and patio in large backyard.... room to expand also !! Ready to move into and make this your Home with room for Mom too! !